Hydrangeas are an old garden favorite; they are popular due to their beautiful, large, blue, pink or white blossoms. These are showy deciduous shrubs that are used as specimen plantings in landscape design. The color of the blossoms (pink or blue), is a result of the pH of the soil, whether it is acidic or alkaline. It is not unusual to see a plant that has both pink and blue flowers because of the differences in soil that surround the hydrangea. This is one of the most popular hydrangeas. They are also known as mopheads, and French hydrangeas. This species has large, toothed leaves, and a mature shrub can reach a heath of 6 feet. There are also dwarf mopheads, which will reach a height of 2 feet. It is known as a “French” hydrangea because it was hybridized by the French. Two big-leaf or French hydrangeas exist today – mopheads (hortensias) and lacecaps. In Texas these hydrangeas will bloom in May and June. Hydrangea quercifolia, also known as the oakleaf hydrangea, is native to the Southeast regions of the United States. This cultivar is a deciduous shrub, and a mature plant will reach a height of from 6 to 8 feet. It does well in Texas because it grows well in shade or partial shade, and thrives on morning or late sun. Oakleaf hydrangea will even do well in a sunnier spot if it is watered well. White blooms appear in late May and June, the blooms will then turn a slight pinkish color. Hydrangeas need a shaded area, a northern or eastern exposure is ideal. 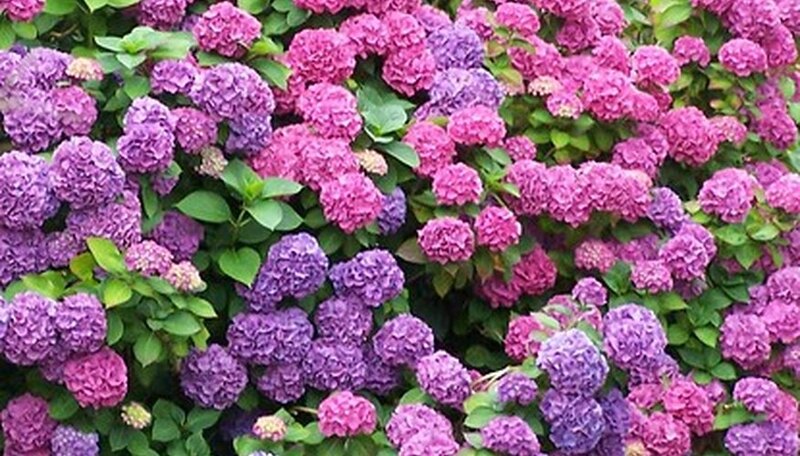 During the summer season it is extremely important that the hydrangea receives adequate water. It should be planted in organically rich, well drained soil. To maintain moisture during the heat of summer the plant bed should be mulched. Mulch should be approximately 4 inches in depth – this will not only keep the moisture in the soil bed, but it will also keep the weeds down. Acidic soil will produce blue blooms (also if you want your blue blooms to be bluer). To achieve a more acidic soil add sulfur or aluminum sulfate (around the plant). Apply 2 tablespoons to the soil, work it into the soil with your hand cultivator, and water well. This should be done in early fall. If you want your hydrangea to have pink blooms you will need to add lime to the soil in early fall. Apply a cup of dolomitic lime to the soil surrounding the shrub, working it into the soil with your hand cultivator, and then water the plant well.